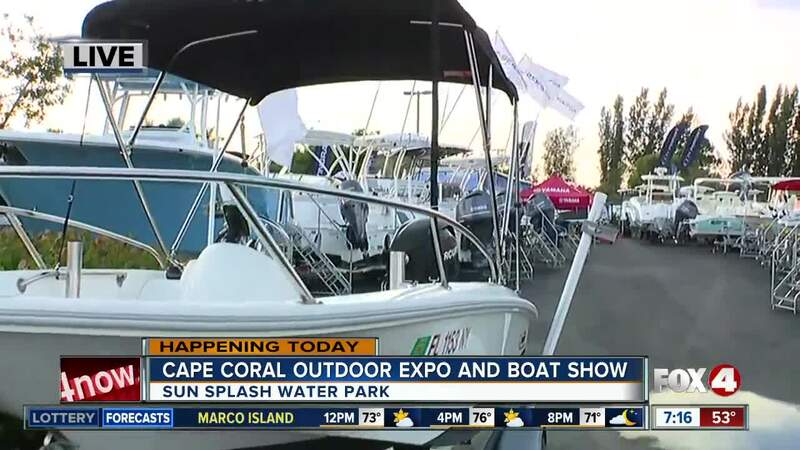 The Cape Coral Outdoor Expo and Boat Show is a three day event that begins Friday, December 7th, with live music, drink specials and a variety of items for sale. CAPE CORAL, Fla. — The Cape Coral Outdoor Expo and Boat Show is a three day event that begins Friday, December 7th, with live music, drink specials and a variety of items for sale. The first 200 people through the door will get a free t-shirt each day. Shopping includes items geared towards boating, outdoor enthusiats and water sports. The event is at the Sun Splash Water Park in Cape Coral. On Friday and Saturday, the hours are 10 a.m. to 6 p.m. On Sunday, the hours are from 10 a.m. to 5 p.m.
For a one day pass, tickets are $5. Kids ten and under get in free. To purchase tickets, click here .